Legal Aid of East Tennessee, Tennessee Faith and Justice Alliance, the Christian Legal Society and the Chattanooga Gospel Justice Initiative are working together on a new effort to expand access to justice in Chattanooga through places of worship. The Tennessee Supreme Court formed the Access to Justice Commission in 2009 to expand access to justice across the state. An estimated 1 million Tennesseans face some type of civil legal issue each year and are unable to afford legal representation. The Access to Justice Commission created the Tennessee Faith and Justice Alliance on the premise that many individuals with legal issues will first seek assistance at their houses of worship. Locally, Legal Aid of East Tennessee, the Christian Legal Society and the Chattanooga Gospel Justice Initiative have partnered in this same effort. LAET and CLS will offer free legal clinics at area churches. LAET will assist those who qualify, while CLS and the CGJI are working to establish a network of attorneys willing to offer pro bono services for those who don’t qualify for legal aid. One such partnership has been created with White Oak United Methodist Church in Red Bank. The collaboration will include legal issue awareness training for church leadership through the Tennessee Faith and Justice Alliance and pro bono legal clinics at the church. This first legal aid clinic at White Oak was held on July 11. The clinic was free and open to anyone with a civil legal issue or question. Voluntary pro bono attorneys were available to provide counsel. 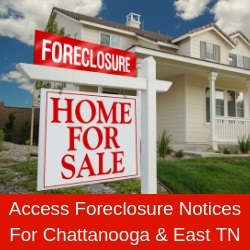 For more information about the partnership, contact Paige Evatt, pro bono director at Legal Aid of East Tennessee: 423 402-4758, pevatt@laet.org.